Comodo IceDragon contains built-in security modules to store your passwords and certificates securely. In addition for enhanced security, you can use external security devices like smart cards to store your certificates and passwords, and configure IceDragon to fetch your certificates and passwords from them. Generic Crypto Services - A special software security device for all cryptographic operations required by the Netscape Internal PKCS #11 Module. 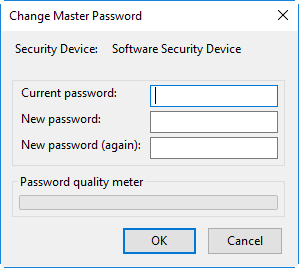 Software Security Device - A software security device for storing your certificates and passwords that cannot be stored on external security devices, including any CA certificates that you have installed in addition to default CA certificates that came with the browser. Builtin Roots Module controls a special security device called the Built-in Object Token. Builtin Object Token - A token that stores the default CA certificates that came with the browser. Note: You need to enter the Master Password for the browser to fetch the certificates and passwords. If you haven't set a Master Password please see the instructions on 'To set or change Password'. You will be logged-in to the security device so that the browser can access the certificates and the passwords stored by the security device. Enter your new password, re-enter it for confirmation in the respective fields and click 'OK'. Enter a name for the new device in order fo the browser to identify it in the 'Module Name' field. 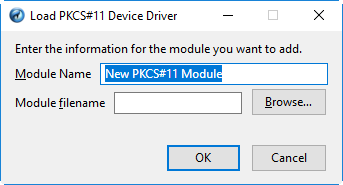 Enter the path of the module file you installed with the device in the 'Module filename' field. Alternatively, click 'Browse' and navigate to the location in your hard drive where you have installed the module and click 'Open'. Your new module will be loaded. 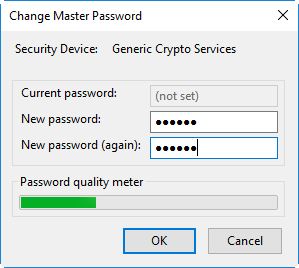 You can set a password and login to the device for the browser to access the certificates and passwords stored by the new device. To remove a module, select the module and click 'Unload'. Federal Information Processing Standards Publications (FIPS PUBS) 140-1 is a US government standard for implementations of cryptographic modules - hardware or software that encrypts and decrypts data or performs other cryptographic operations (such as creating or verifying digital signatures). All the encryption and decryption processes of Comodo IceDragon can be configured to adhere to FIPS PUBS 140-1 through the Device Manager interface.